Vivo previewed for us the world's first phone with in-display finger scanner at the CES expo in Las Vegas earlier this month, but never named the device, and didn't disclose important details like its price or release date. Well, today is the day when the company right those wrongs, and announced the full scoop on the Vivo X20 Plus UD - yes, it's a mouthful, but we would expect nothing less from a phone that stands out in one particular aspect among its equals. Needless to say, the phone is very similar to the already announced X20 Plus, while the UD part is added for its proprietary "under display" fingerprinting properties. Thus, we can find a 6.43-inch screen in the 1080 x 2160 pixels format, an upper mid-range Snapdragon 660 chipset to power it through, and a hearty 3900 mAh battery to keep it ticking for a long time. The difference with the regular X20 Plus, besides the in-display scanner, seems to lie in the rear camera set, too - we have two 13 MP sensors on the UD version, instead of pairing it with a 5MP sensor like before. 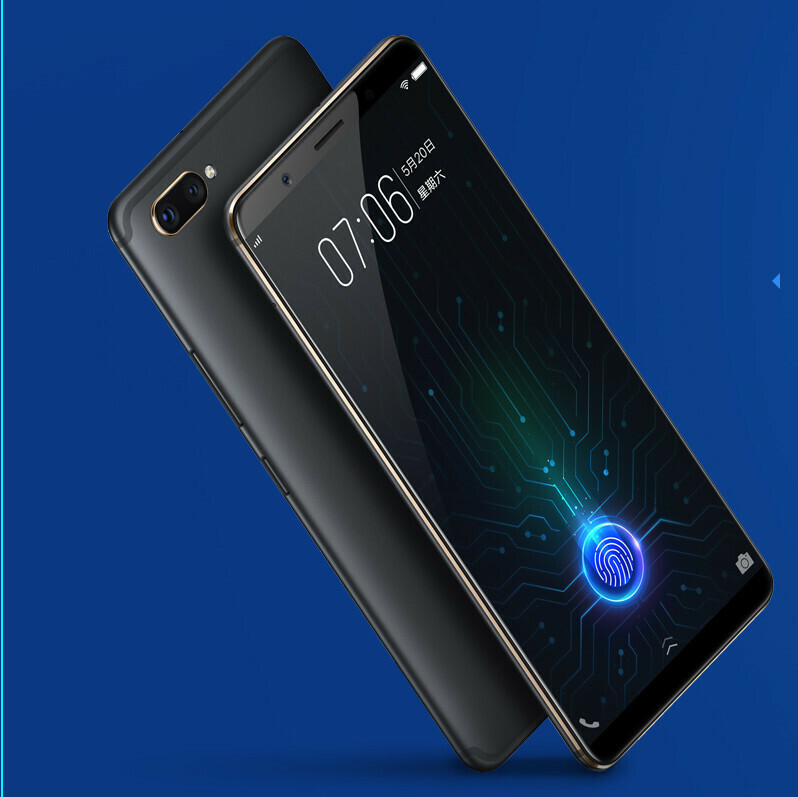 The 4GB RAM and 128 GB of storage round up a pretty decent offering specswise, and pre-orders in China begin as soon as January 29, with a launch date shortly after, on February 1. The price that the first phone with finger scanner embedded in the display will command you? Well, at the equivalent of about $565 it is not cheap for Chinese standards, and you will have to add 20-30% on top of that if you want to import, but that may be a small price to pay for being an early adopter of a unique technology. Or is it? I've seen a hands on video on another site, and the fingerprint scanner works really well. I am looking forward to the review of this phone. I don't get it why this feature is this exciting. I can't but think about the oleophobic coating wearing away after all those touches in that particular area after a while. And if it's not as fast as other fingerprint scanners, I wouldn't want it until they figure that out. Does the oleophobic coating typically wear off on devices? I've never heard of that being an issue. Also, this fingerprint scanner is slightly slower than typical fingerprint scanners, but it still takes less than a second to unlock (granted, I'd want this to be just as fast too). It's also still quicker than face unlock on the iPhone X. Coming from a user that is used to the fingerprint scanner being on the front of the device, I can't wait for this to be implemented on more devices. It's only going to get better. I'm also used to it being on the front, although I am adjusted now to it being in the back. And usually, oleophobic coating does wear off with time, thus you find yourself wiping your phone more often than you used to do when you 1st bought it. I'm not hating on the idea itself, but I wouldn't want it on my phone unless they fix the speed issues, make more reliable, and of course my number one concern, the oleophobic coating. I'll solve your number one concern - put a screen protector on. That brings up a good point: would an in-display fingerprint scanner work with a screen protector? I never had a screen protector that had a really good oleophobic coating on it, they usually wear off less than 2 weeks after using them. That's why I don't install screen protectors on my phones and only on my kids' tablets. Yup it also stating that it won't work if screen is cracked or scratched up. I hope manufacturer find a way so that it work even if screen is cracked or scratched coz these Gorrila glass gets scratched up after a while & are very expensive to replace. I think they should rather first perfect it instead of rushing it. If phones would have "under display" fps, then they should at least get rid of those chins. I wouldn't be surprised if Samsung has this on the front and a regular scanner on the back. I think it is possible. This would be useful when the phone is sitting on a desk, as you wouldn't have to pick up the phone or enter your pin. Having the sensor on the back is better when retrieving the phone from my pocket. At this point, I think I prefer it on the back. I take the phone out of a pocket much more frequently than it sits on a desk. I own a vivo x20 and I can attest the phone is solid. Well worth buying one. Although photography on the x20 is not as good in low light as the xplay 6. But yet again, not even my Galaxy S8 takes better pics than the xplay 6. The bigger take away here is the new upcoming ONE PLUS SIX is for sure gonna have a finger print scanner within its display, CANT WAIT!! !